Your home should be well lit. Replace burned-out bulbs on the front porch or garage. If you won’t be home for trick-or-treating turn your lights off to keep children from coming to the door. All lighting should be grounded. Use only covered electric outlets with ground fault circuit interrupters (GFCIs) and be sure not to overload electrical outlets with holiday lighting. Clear the way. Prevent those trick-or-treaters from falling by making sure the front yard, driveway and walk ways are clean and hazard free. If possible put your car in the garage. If you’re setting up a display, don’t run electrical cords over sidewalks where people might trip. Be safe with jack-o-lanterns. 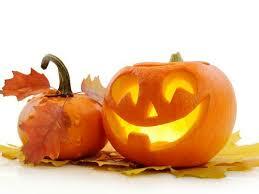 Keep candle lit pumpkins away from walkways to reduce hazards like costumes and decorations from catching on fire. Battery powered light sources or light sticks are always safer alternatives to open flames. Please make kids visible. Children love light sticks which can be worn as a bracelet, necklace or thrown in their candy bags/buckets. You can also add reflector strips to costumes, or have them carry a flash light. This will make them more visible to drivers and you can keep an eye on them if they get ahead of you. Keep your pets inside. Pets can be frightened on Halloween, so keeping them inside will protect them from cars or inadvertently biting a trick-or-treater. Test smoke alarms.Don’t forget to test your smoke alarms before Halloween!